First impressions count. Your image is affected by many factors, and the appearance of your facility is one of the most important. Your clients, employees, visitors, and the general public see your property and the appearance is what they remember. Don’t let your business be judged poorly because of the lack of eye-catching aesthetics. Let us help create a wow factor in your landscaping. From the street or from the front walk, your property should be attractive, interesting, and inviting. Y&D specializes in creating and maintaining outstanding landscapes — landscapes that say you care about quality and detail. Y&D is committed to managing healthy landscapes that help you make positive, powerful first impressions. 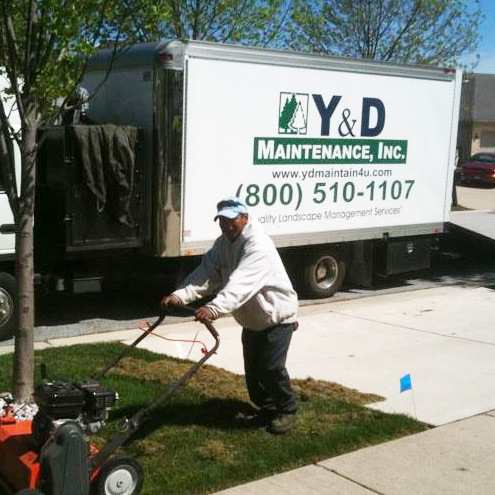 Call Y&D Maintenance at 708-532-4432 or 1-800-510-4432, e-mail us at info@ydminc.com, or fill out our contact form and discover how we can help maintain your outstanding living environment.